In this paper, we will approach creativity, suggesting what we have found out about it, through the considerations derived from our analytic activity. The subject of the congress intends to celebrate creativity as transformation, touching on its aspect of movement and growth. Undoubtedly, our analytic and post-analytic data can testify the dynamic nature of this phenomenon. Moreover, we will deal with a particular feature of creativity, that is its satisfying essence, “gushed from the profound and accompanied by well-being experiences” (Gariglio, 2003). In the past, by handling creativity, some aspects of suffering had already been highlighted. The creative activity could well be felt as a mountain to be climbed, an unbearable effort owing to excessive interior tension. There has also been a great interest in the inhibition and difficulty in creating because creativity was seen as a way to discharge certain forbidden desires in a deviated way. Nowadays, the character of pleasure in creativity is underlined more and more, instead of the aspect of lack and suffering. Creative activity is seen as a satisfaction and as a means of personal realization. This substantial difference has impressed us because during the analysis we commonly witness the shift from a form of creativity to the other. At the beginning of the process, people coming to us often complain about a certain difficulty in leaving old habits, the inability to produce original things and introduce changes in their lifestyles, which are no longer satisfying. These people are imprisoned in repetitive behaviours and frozen feelings; they are not able to get rid of stereotyped thoughts and feel dominated by unchangeable emotions like endless anguish and guilt experiences. Starting from the analysis period, the person becomes more and more creative, feeling internally authorized to express himself in a freer and more original way: it is an actual metamorphosis which affects the creative process. Thus, such development of the person towards creativity has become the object of our observation. Afterwards, we have put together our observations, which have produced a field of clinical and theoretic reflection. The aim of this paper is to convey what we have found out concerning creativity, which can be summarized in two points. Firstly, we have regularly noticed that those who carry out an analytic process become more creative. The more the analysis progresses, the more creativity strengthens. This phenomenon is the consequence of a greater flexibility in the defence mechanisms and of a weakening in the neurotic repetitions. Secondly, we have observed that a new type of creativity develops when the creative process frees itself from some obstacles and when the person reaches a sufficient psychic fluidity. These particular creative dynamics are very interesting from an analytical point of view. Indeed, the creative process tends to be processed in a harmonious way and to be expressed in a serene emotional environment. Through the interpretation of its contents, we have found out that this type of creativity revives traces of self-satisfaction and relaxation, memorized in the depth of the psyche. We consider that this information, buried in the unconscious, may be released in analysis. We have called these specific creative dynamics well-being creativity. Why have we coined this binomial “well-being creativity”? First of all, because this type of creativity is established in a state of minimum tension. Then, because it gives satisfaction and relaxation. Thus, we observe that the well-being creativity fits harmoniously into the interactions between mind and body and it softens the effects of the psychic conflicts. Therefore, it has a balancing effect both on the interior and the relational levels. Let us now look at all this in a more detailed way. First, it is worth mentioning that our original contribution to creativity comes from the analytical field. In particular, our observations come from analytic practice based on long sessions, which are the features of micropsychoanalysis(Fanti, 1970). This technique gives much more amplitude to free associations: the concatenation of ideas forms long chains which develop until they reach their natural end, and leads to the amplification of elements that may appear as details but that have a decisive expressive-defensive importance. 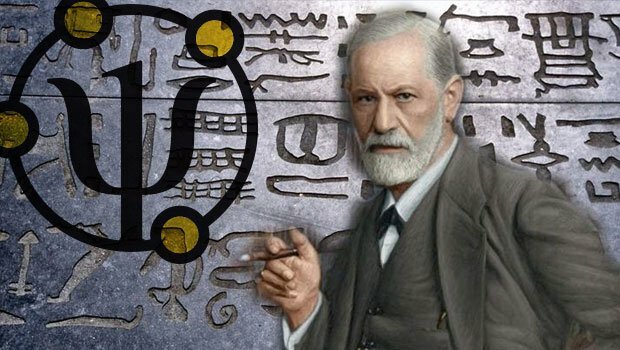 Thus language establishes connections between a manifest content (thought, feeling, behaviour, phantasy, dream) and the unconscious dynamisms determining this content. The long sessions allow the analysand to live again very archaic experiences, memorized in the dephts of the psyche. Not only do they lead to rationally rebuild former experiences, but they also result in reactualizing the unconscious contents affectively, verbally and through transference; finally, they lead to the deep elaboration of these contents. Such analytic practice greatly favours the utmost process of psychic transformation. In this context, an interesting phenomenon concerning creativity can be observed. Stereotyped associative chains dry up and naturally give way to new associative chains. Then, the analytical work is sure to highlight what supports or inhibits the emergence of a creative act. It is well known that, in analysis, psychic suffering is initially dominant. The defence mechanisms against the discomfort prevent creative demonstrations from developing. However as soon as the suffering is abated, all people under analysis tend to evolve towards a more creative life in which there will be less and less place for past destructive thrust: “Living an analysis experience with operators who carry vivifying imprintingand are, therefore, naturally gifted with creativity, can be of vital importance for subjects who suffer from heavy disturbance of aggressiveness. The new facts can testify the happening of an interrupted transformation in the transfer-countertransfer field. In this sense, the analysis is a creative event” (Gariglio, 1999). Therefore, the creativity about which we speak is not only confined to the artistic field. It is a universal human potential. As a matter of fact, elsewhere we have defined creativity as a natural tendency of the psyche which consists of providing new and original productions from the point of view of the self, the immediate environment and society in general (Gariglio & Lysek, 2003). Thus defined, creation is not only material, any aspect of life can be concerned. But it will have to produce something original and tangible in external reality. This definition can, therefore, include a new kind of relationship with the others, a new way of organizing one’s own time, space or work. However, it excludes phantasies productions, because they are not played in the reality. On the basis of this definition, let us now return to the creative dynamics. Creating has a deep origin. Beyond all cultural, social and economic motivations to create, the creative process definitely comes from very far; this means from the unconscious. According to Freud, creativity draws its power from removed infantile sexuality and enables the individual to express sexual representations in a disguised or, more precisely, in a sublimated way. « The forces that can be employed for cultural activities are thus to a great extent obtained through the suppression of what are known as the perverse elements of sexual excitation. 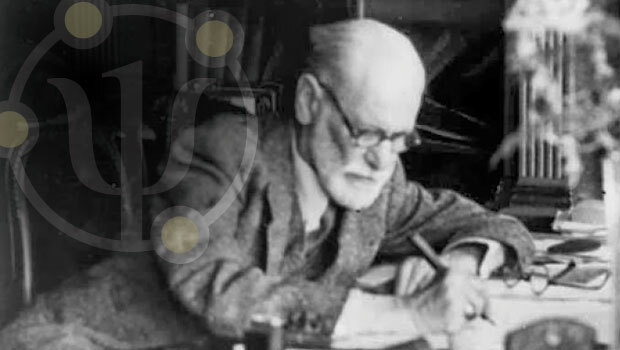 » (Freud, 1908). Then, after Freud, Melanie Klein shows that the unconscious aggressiveness is also to be considered: any child, feeling frustrated, is animated by phantasies in which he destroys his mother. After this phantasies destruction, he perceives the feeling of an unbearable loss and repairs the destroyed object by creating an imaginary one. According to Melanie Klein, the reparation establishes the prototype for the creative processes of adults. Afterwards, Winnicot drew the attention to the “illusion” that flows from the transitional object and the ”transitional phenomenon”. This “not-me possession” creates an “intermediate field of experience” constituting some “primary creativity” which can be found at the basis of each artistic, imaginary and scientific activity (Winnicot, 1953). 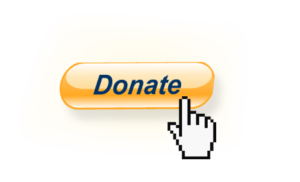 As to us, we can add that psychism naturally tends to reproduce positive and negative key experiences, which were lived by the subject during his development and were memorized in his unconscious. From time to time, these utero-infantile experiences (so called in micropsychoanalysis) re-emerge in the course of one’s lifetime (the rousing causes can be internal or external, can have a biological, psychological and/or relational origin). Then, these drives release a psychic tension which projects such lived experiences into the external reality in a more or less deformed way. This reduces tension. 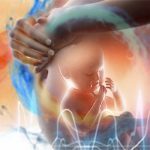 The performance of the utero-infantile experiences, in current life, models existential situations, organizes personal relationships and allows the individual to carry out trifle things or great deeds. In short, it feeds the creativity of the person. The creative drives come, therefore, from an unconscious tension which requires to be discharged. This tension feeds on the internal need of bringing to light the information contained in our unconscious. So, each creation expresses some unconscious contents in a more or less deformed way. During the analysis, the creation discloses some elements in the history of the subject, of his family, of his ancestors… as do dreams and neurotic symptoms, which are regarded as privileged manifestations of the unconscious. The content emerged from the unconscious needs to undergo a subsequent deformation in order to make it compatible with the higher levels of the psyche. The creative dynamics elaborate it likewise. All this is remodelled in the preconscious. “In order that this may happen, the creative process uses the specific association and linking function of the preconscious to connect together: recalls, affectivity, satisfaction of desires, a fund of knowledge, social norms, learning, patterns of thought and action.” (Lysek, 2005). Now, long sessions allow the involved people to follow the course of creative dynamics, starting from the unconscious source of the creative act. The micropsychoanalitic technique allows the relived experiences and the remembrances to make their way into the transference-countertransference field where the steps leading to the elaboration of creativity can easily be visualized. Through these elements, we can understand that, from an analytic point of view, creativity is a fundamental and universal tendency to gather pieces of information emerged from the unconscious and to assemble them in a new original form which will actually appear in the reality. During the analysis, the release of creativity proceeds by degrees and explores non-conflictual components of the unconscious. It is worth insisting on this non-conflictual aspect of the unconscious. The long sessions have led us to assume that the unconscious memorizes another category of information, different from that coming from the repressed sexuality and aggressiveness. In fact, the study of creativity shows that the unconscious keeps lived traces of early episodes of satisfaction, relaxation, balance, tenderness, foundness, in short: traces of well-being. Such unconscious memories of well-being tend to be expressed when they are not prevented by the pressure coming from traces of conflicts and traumas. During the analysis, the conflicts loose power little by little and the unconscious traces of well-being appear more and more often. At this point, the creativity of the subject starts to come forth in a more and more natural way. Up to this moment, it has been impossible for his creative potentialities to be expressed, they were frozen, as it were, but can now defrost and express themselves in free associations. Then, the creative dynamics reache everyday life, where a new ability is gradually introduced, that is the ability to create new pleasant situations, which bring forth a state of well-being. The well-being creativity is precisely made of memories of satisfaction, relaxation and balance! In the reality, it expresses memories of past well-being experiences. We can compare it with a life breath, a real motor that transforms passivity into activity and enriches life with a pleasant and satisfaying emotional tonality. This motor starts a recombination. More precisely, the well-being creativity uses under-tension contents which have risen from the unconscious and have got reorganized in a new way, in less deep psychic levels, that is to say, in the preconscious. The creative process continues the recombination until the remodelled psychic object is able to take on some shape in the reality. At this point, the creative drive causes the final discharge, translating the psychic object into a material production or a life act. Here is an example, taken from the book we are finishing, on this topic. The example concerns a man who suffers from anxious disorder. To avoid fits of anxiety, he carries out a routine, well programmed life, refusing any innovations. Because of his fears, he exaggeratedly suffers from any even the smallest change in his life, such as the loss of an object, being caused some vexation, a slight hitch, and so on. Through the analysis, he becomes a little more possibilist regarding certain existential potentialities. Thus, he can now become aware of some unexpected drives that would lead him to try something unusual, such as doing innerly gratifying activities. This is really of great importance. For example, he becomes able to react to a sudden unjustified offence without getting lost in pondering over rancour and revenge. Or he accepts the idea of a particular journey, or he is able to take into account an unusual job proposal… On facing these possibilities, some of which could radically change his life, the person does not restrain his drives any longer and simply takes his time to find out a suitable and satisfying solution. This shows that he has generalized the internalized associative approach. Actually, during his sessions, the subject loses the habit of stubbornly looking for the answer to a problem which has arisen during the analysis. This is because he has often realized that, if he waits, a convenient solution tends to turn up spontaneously in free associations, without being examined rationally. This associative thought is worth more than a rational answer to the question, because it is tuned with the unconscious reality which takes into account the deep desires of the subject. So, after his analysis, this person will naturally continue to link his present reality with deep motivations. For example, he will interpret his own dreams, in which he will be able to find again attempts of well-being already carried out by some relatives, if not by himself. Starting from these recalled materials, he will also be able to carry out a previously stopped course of life, “meeting those experiences which may truly constitute an exploration, an expansion and an articulation of the self, in the current situation.” (Di Benedetto, 2005). In other words, when one succeeds in replacing a neurotic functioning with a creative attitude, he naturally tends to get in touch with former experiences of self-satisfaction. These lived experiences can be recombined in a new scenario, steeped in well-being. If we refer this scenario to our anxious subject, as a result we can see a person who is now able to stay at his home quietly and enjoy his daily habits. But, when this person is pervaded by the deep drive to organize a wonderful, even adventurous journey to new places, then, he will be able to put it into practice. In short, the subject is now enriched with a transformation ability which will also lighten the inevitable moments of tension and suffering, which life does not spare anyone. This preconscious change will gradually be integrated by the ego, which will tend to produce well-being, in a more and more natural way. This leads us to rearrange the information on well-being creativity gathered so far. We also want to underline the necessary conditions for creativity to emerge and to settle in the psychism. In this way it will become clear that its specificity consists in the psychic processes underlying it and also in its relational impact. We can now start considering the psychic processes that are inside well-being creativity. First of all, it is necessary to have a non-defensive relationship with the unconscious. When the traumatic experiences have failed to exert a strong pressure, the ego does not have to mobilize its energies to contain the tendency of such experiences to be repeated. This favours a better circulation of energy in the psyche. Thus the well-being information coming from the unconscious can enrich the subject. His psychism becomes then a place for the recombination of different categories of materials: the recalled experiences of well-being, the echoes of traumas having lost their power as well as personal, familiar and sociocultural elements belonging to everyday life. In other words, the analytic work has deeply changed the functioning of the ego. Later on, well-being creativity is made possible by a fluidity in the psychic processes. This implies, for sure, that the creative process corresponds to the aspirations of the ego. But something else is needed: the agreement among all psychic agencies, from the es to the super-ego. This agreement is expressed through a harmonious functioning among the psychic agencies. For example, it means that the super-ego should not systematically seek to sabotage the pleasure which the ego has succeeded in getting. The psychic fluidity allows the information to circulate better and helps the exchanges with the outside world. It also allows the modification of old associative schemes. New links are thus established between ideas and affects, which leads to original assemblies. The mind gets enriched with a new shape thus giving a different emotional colouring to life. This leads us right to the relational impact that we have described as one of the two peculiarities of the well-being creativity. On second thoughts this creative transformation takes place in a peaceful emotional environment: from its origin to its concrete realization, the level of tension is never extreme; there is neither unconscious disturbing pressure nor any preconscious shock, psychosomatic stress or permanent conflicts with the external reality. Though some forms of resistance are difficult to be avoided, they can be easily processed with the result of fairly normal relationships with other people. We can also add that well-being creativity differs from sublimation. The latter implies an instinctual renouncement. It gives the subject sociocultural gratifications, but the instinctual dimension of the human being remains unsatisfied, because sublimation projects into reality unmentionable desires, repressed ideas, prohibited drives particularly the aggressive ones (Lysek, 1997). On the contrary, well-being creativity does not entail defensive dynamics. 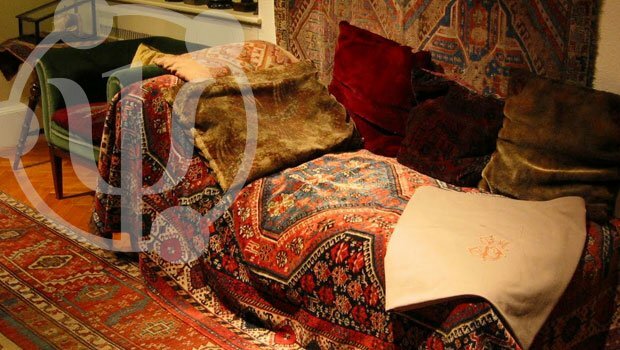 Far from expressing a psychic conflict, as we have seen, well-being creativity realises an agreement among the psychic agencies and fosters positive interactions between the subject and his environment. Precisely, “interaction” is a keyword of well-being creativity. It is an interaction without any competition, whose aims are collaboration and complementarity. With this type of interaction, self- success is not achieved at the expense of other people! Let us now review all these elements with some concise sentences. Well-being creativity is particularly fluid dynamics emerging from a creative drive. It vibrates in the subject and leads him to get in touch with experiences of self-satisfaction and balance, memorized in his unconscious. These pieces of information are naturally recombined – that is to say they realise a consent among all agencies – in the superior levels of the psyche. When they have been sufficiently worked out, they tend to be expressed in reality in an original way. Here, the existence is coloured with pleasant affective tonalities. Well-being creativity is then the final stage of a long analytical course. The first part of the journey is concerned with the reactivation of traumatic information which had got fixed in the unconscious and their deactivation. The following part of the journey is concerned with defrosting traces of well-being that are waiting to go on enlivening the human being. At this point a psychic elaboration process starts in the mind which is intended to create new entities, which will take shape in the reality. The subject lives this experience as something good for himself and he wishes to share it. Whenever this happens, there seem to be good chances for other people to benefit, too. In conclusion, well-being creativity plays a structuring role for the ego. It enables the subject to invest the psychic energies freed by the analytical work, in a constructive and visible way. For the analyst or the psychotherapist, the development of well-being creativity is an interesting reference point regarding the check of the concrete changes occurred during the analysis. If well-being creativity stays on also after the analysis, this can be felt as a really satisfying result. “This can stimulate us to consider the post-analytical creativity as the attainment of a natural and satisfying zone of balance, which is pre-existent in human beings and is often hidden by a psychic discomfort. When the analysis proceeds and finishes, then there will be a new creative richness with the birth of one’s own post-analytical original” (Gariglio, 2002). In general, a person undergoing analysis becomes more creative. This phenomenon is the consequence of the relief of neurotic repetitions. In this condition, we have observed that a new type of creativity develops when the person reaches a sufficient psychic fluidity. This particular creative process tends then to grow in a quite harmonious way and to be expressed in a rather serene emotional environment. We have called it well-being creativity, because it has a balancing effect both on the interior and the relational levels. Well-being creativity seems to result from the relaunching of appeasing and relaxation traces memorized in the unconscious. So, these memories of past well-being experiences impregnate the psyche with their characteristics of satisfaction and relaxation. Thereby, a psychic recombination occurs, which mitigates the subject’s suffering. This paper tries to describe the mechanisms of well-being creativity. We put forth the hypothesis that it differs from sublimation. Far from expressing an instinctual renouncement, it allows the suject to invest, in a constructive and visible way, the psychic energy released by his analytical work. Indeed, the development of well-being creativity plays a structuring role for the ego and it supports positive interactions between the subject and his environment. Di Benedetto P. (2005), “Stati autistici e depressione: contiguità e mimetismo”, in Gli Argonauti, psicoanalisi e società, Cis Editore, Milano, n. 106, p. 195. Fanti S. (1970), Against Marriage, Philosophical Library, New York, 1978. Freud S. (1908), “Civilized” Sexual Morality and Modern Nervous Illness”, in The Complete Psychological Works of Sigmund Freud, Standard Edition, Hogarth Press, London, 1959. Gariglio D. (1999), “L’elaborazione dell’aggressività in seduta”, Bollettino dell’Istituto Italiano di Micropsicoanalisi, n. 26, p. 63. Gariglio D. (2002), “Creatività e libertà postanalitiche: percorsi di realtà”, in Demarchi E., Linguaggi. (Rapporti nati dalla ricombinazione di voci antiche), in Collana di creatività postanalitica I Nuovi Tentativi, ideata e diretta da D. Gariglio, Torchio Orafo, Torino, pp. 176-204. Gariglio D. (2003), “Micropsicoanalisi e creatività postanalitica. Venire al mondo per venire agli altri”, in Teatri delle diversità, Rivista Europea, Ed. Associazione Nuove Catarsi, Cartoceto, (Pu), n. 25, p. 13. Gariglio D. & Lysek D. (2003), “De l’obscurité à la clarté : évolution thérapeutique d’une formation de symptôme à la créativité”, Revue Française de Psychiatrie et de Psychologie Médicale, t. VII, N° 67, pp. 51-54. Klein M. (1929), “Infantile anxiety-situations reflected in art, creative impulse…”, in The Writings of Melanie Klein, Free Press, New York, 1984. Lysek D. (1997), “La sublimazione dell’aggressività”, Bollettino dell’Istituto Italiano di Micropsicoanalisi, Tirrenia Stampatori, Torino, n. 22, pp. 33-54. Lysek D. (2005), “Devenir créatif comme acceptation de l’écoulement du temps”, Revue Française de Psychiatrie et de Psychologie Médicale, t. IX, N° 83, p. 35. Winnicott D. W. (1953), “Transitional Objects and Transitionnal Phenomena”, in Collected Papers, London, Tavistock, 1958. Daniela Gariglio & Daniel Lysek, Creatività benessere. Movimenti creativi in analisi, Armando, Roma, 2007. IIl Dott. Daniel Lysek lavora a Peseux (Neuchâtel, Svizzera) come micropsicoanalista e psicoterapeuta. Nato a La Chaux-de-Fonds (Svizzera) nel 1950, si è laureato in medicina nel 1976. Ha lavorato 10 anni nel Centro micropsicoanalitico del Dott. Silvio Fanti a Couvet, partecipando all’elaborazione teorica della micropsicoanalisi e diventando anche co-autore del Dizionario pratico della psicoanalisi e della micropsicoanalisi (Borla, 1984). 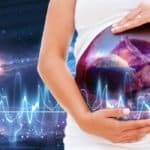 Dal 1985 è analista didatta della Società Internazionale di Micropsicoanalisi di cui è stato presidente dal 1987 al 1991. Membro fondatore dell’Istituto Svizzero di Micropsicoanalisi, ne è il direttore dal 1999. Ha partecipato, in qualità di relatore, a numerosi congressi internazionali. 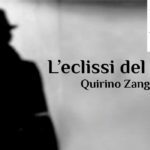 È autore di molte pubblicazioni micropsicoanalitiche, tra cui un libro scritto con la Dott.ssa Daniela Gariglio, Creatività benessere. 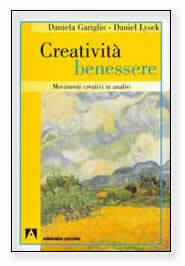 Movimenti creativi in analisi (Armando Editore, 2007). 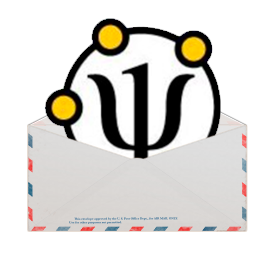 Collabora inoltre a un gruppo di ricerca sulla psicosomatica.